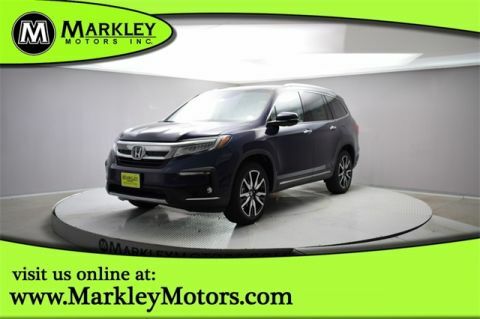 Our luxurious 2019 Honda Pilot Touring 4WD shown off in Obsidian Blue Pearl is simply outstanding! Powered by a 3.5 Liter V6 that offers 280hp while tethered to a reliable 9 Speed Automatic transmission for easy passing maneuvers. This Four Wheel Drive SUV sets you up for any adventure with plenty of power, agile handling while attaining great mileage on the open road. Our Touring is sleek and sporty with its distinct grille, LED daytime running lights, fog lights, a power tailgate, and gorgeous alloy wheels.